If you’ve ever read this blog before, there are probably two things you might have figured out: first, I love doom metal, the classic kind of doom, the one with big groovy riffs, melodies and competent singers. Second, I love Shadow Kingdom Records, which is almost a consequence of the first statement. But that love is not blind, it’s not just a sentimental thing or a “doctrine” of loving small underground labels. It’s simply based on the quality of the records the label puts out; and the unbelievable amount of bands they made me discover (remember this? This? Or this?). And yet, when I recieved this new record by Pale Divine, I didn’t get too excited. The thing is, I never really was a big fan of the band, and I never really got into their previous album, “Cemetary Earth” that came out 5 years ago on I Hate Records. To me, that record was just too academic although very well composed and played. And I’m going to be get straight to the point here; Painted Windows Black is much better than it’s predecessor. 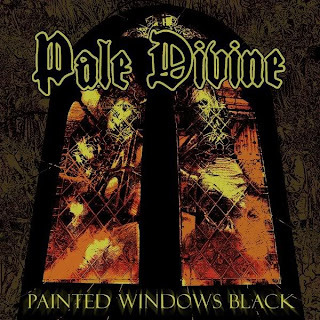 Pale Divine has evolved, definitely in the right direction, they sound more powerful and more diverse. 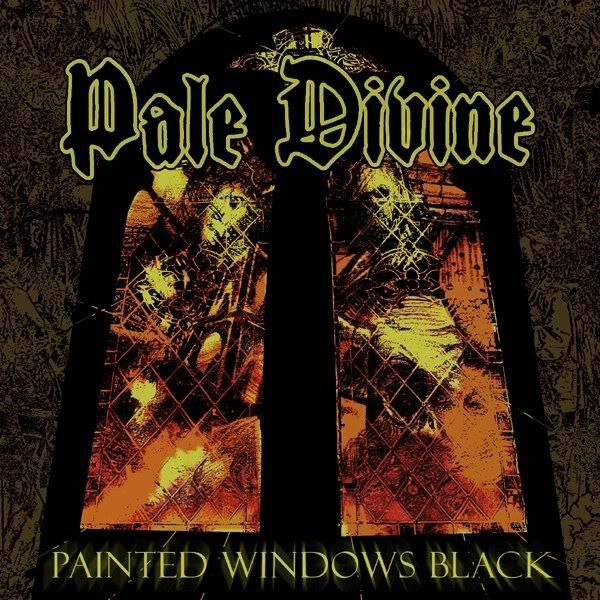 In fact, Pale Divine is not just a classic doom band anymore, call it whatever you want, their music is somewhere in between Doom, Heavy Metal and Progressive Rock. And that fact is immediately demonstrated when first track “Nocturne Dementia” strikes; this instrumental masterpiece is one hell of a way to start a record, and I don’t know many bands capable of hooking you up that way with an instrumental. Everything here is perfectly executed and balanced. You’ve got the riffs, the leads, the big heavy sound and some tremendous melodic parts. Man that melodic break at 3 minutes is just PURE EXSTASY! Anyways, after such an opener, everything is much easier, Pale Divine display their fantastic skills, playing some awesome slow-paced and Melodic Metal. The songs are epic, each musician is technically perfect (the power-trio line-up probably has to do with the band’s intrinsic groove), and singer Greg Diener stands out with his powerful and melodic voice. This guy is probably one of the band’s most improved elements by the way. My personal favorites here are “Angel Of Mercy”, “Shadow Soul”, and of course the killer opener “Nocturne Dementia”. In fact, this fantastic record only displays a few flaws that a friend of mine pointed out. The guy found the songs a little bit too long and he thought that the music lacked feeling… And I need to admit he’s somewhat right. Some songs are a bit too long and the record would have been even stronger with a few faster and shorter pure Heavy Metal songs (the record is also pretty lengthy itself: 70 minutes of pounding Doom Metal might discourage some people). And yes, the music lacks a bit of spontaneity; but that goes with the progressive edge, everything is so nicely composed here… Bottom line is Pale Divine just needs to let it go from time to time and throw in a headbanging Metal hymn that would be an instant hit. Theses little flaws considered, I’m not going to change my opinion about that fantastic record that I just love listening to, everyday, over and over again. It’s great to see Pale Divine evolve in such an exciting direction!